Markets, jazz, art exhibitions, and children’s dream homes—all in Rangoon this week. Akhaya Women gathers with civil society, authorities and the business sector to celebrate International Women’s Day with music, theater, exhibitions and more. March 8, 4:30pm to 6:30pm. People’s Park. Free Admission. This event is part of the My Yangon, My Home art festival and will feature creative displays and music of old cassette tapes. March 4-12, 9:30am to 4:30pm. National Museum. Independent businesses will have fresh produce, home goods, decorative items, fashion accessories and more for sale. Burmese photographers will compete for the best photo story awards, and the night will feature an exclusive exhibition of Swiss photographer Dominic Nahr’s South Sudan: Fractured State. March 11, 5pm to 9pm. Institut Français de Birmanie, No. 340, Pyay Road, Sanchaung Tsp. 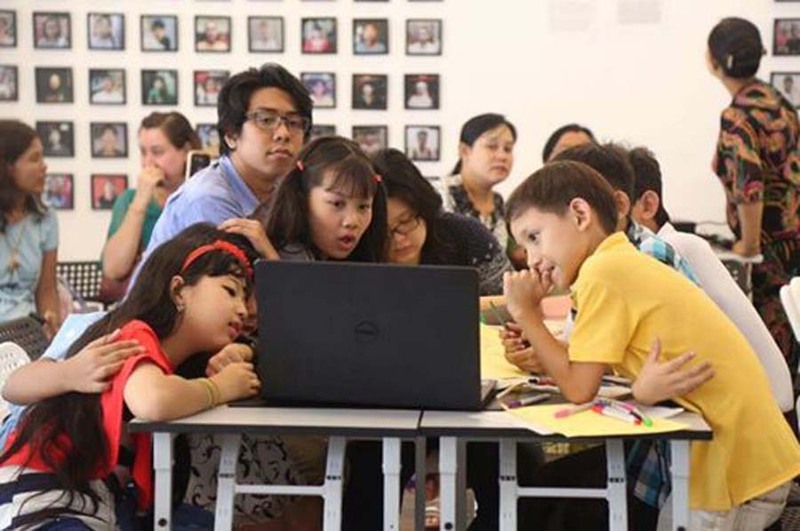 Children from a school in Thanlyin Township shared their visions of an ideal home with architects, who then combined the drawings and ideas into a structure, which will be on display. March 1-12, all day. Thakhin Mya Park. 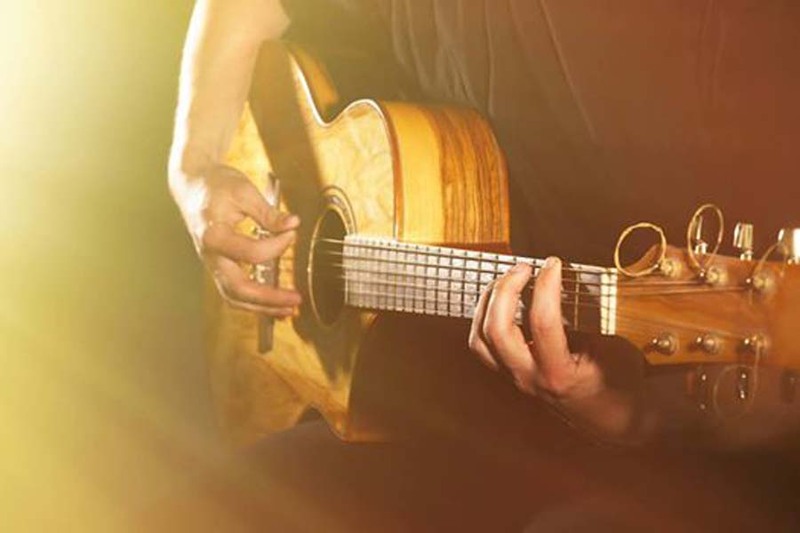 One of Rangoon’s favorite blues and jazz groups – the Bamboo Trio – performs at Atlas Rooftop Bar. Reservations can be made at [email protected]. March 8, 8pm to 10pm. Atlas Rooftop Bar & Lounge, No. 84 Pan Hlaing Road, Sanchaung Tsp. Free admission. 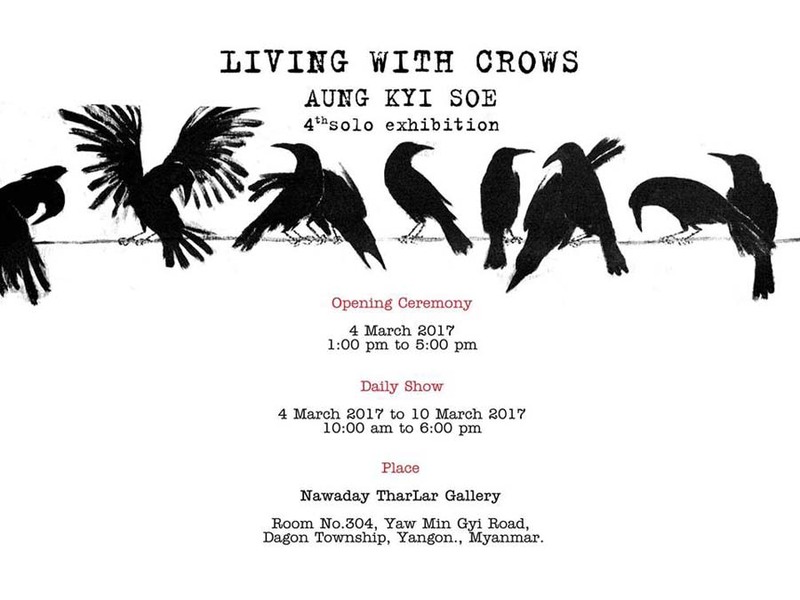 In his fourth solo exhibition, artist Aung Kyi Soe will showcase 10 acrylic paintings depicting crows, which are a familiar sight for every Rangoonite. 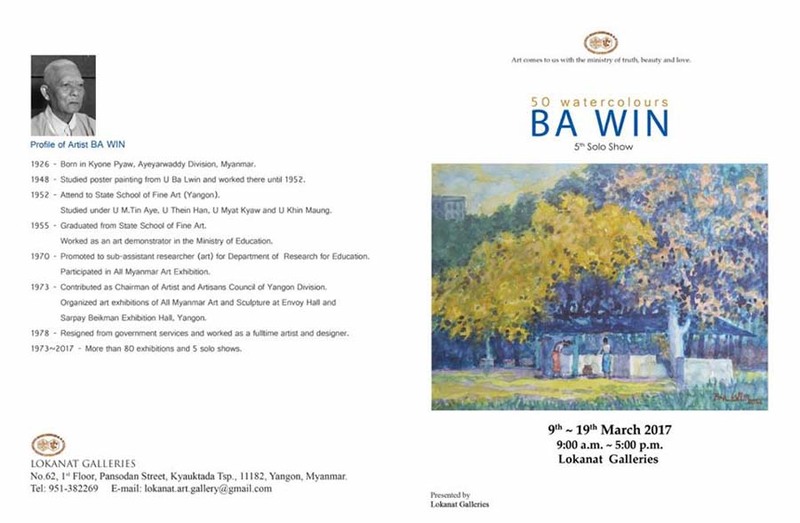 Veteran artist U Ba Win’s solo exhibition will feature around 50 watercolor paintings. 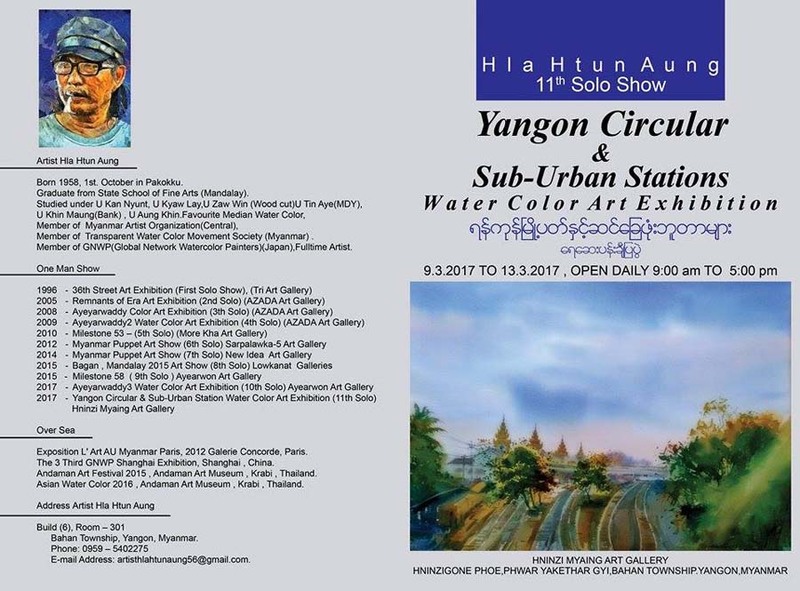 Hla Htun Aung’s exhibition will showcase 64 paintings depicting train stations from different perspectives around Rangoon. March 9-13. Hninzi Myaing Gallery, Hninzigon Home for the Aged, Kabar Aye Road, Mayangone Tsp. 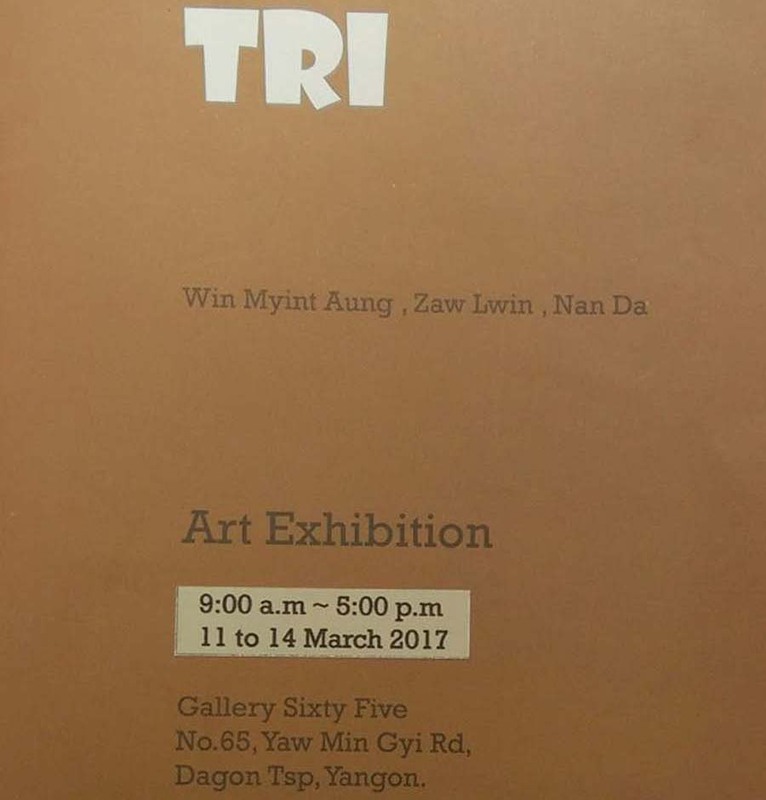 The trio exhibition of Win Myint, Zaw Lwin, and Nan Da will showcase around 30 oil paintings and acrylic works. March 11-14. Gallery 65, No. 65, Yaw Min Gyi Road, Dagon Tsp.